Pokémon Day is Next Tuesday! 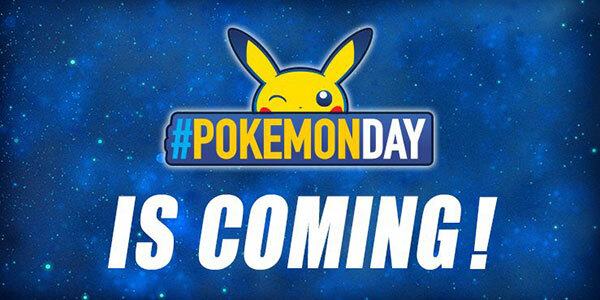 It’s almost here… Pokémon Day is happening next week on February 27th! You won’t get the day off, no… but if you’re a Pokémon fan, there will be plenty for you to celebrate these little monsters. Use the official #PokemonDay hashtag on social media to declare your undying love for the franchise, and enjoy the offerings of the community. Maybe team up with some friends for a round of Pokémon GO for old times’ sake? Wait, that wasn’t that long ago, was it… meh, just have a great time. Enjoy!